Nope, not a sneeze or even similar! Pecha Kucha is the art of concise presentations: 20 slides shown for 20 seconds each (6 minutes and 40 seconds in total). The Community Planning Workshop began using this mode of presentation style as a way for each CPW student to share and update their peers on project findings, status, lessons learned, etc. Good Pecha Kucha presentations are the ones that uncover the unexpected – an unexpected concept, an unexpected idea, an unexpected a-ha moment. Some Pecha Kuchas tell great stories about a project or team dynamic. Some incredibly personal, some incredibly professional and some are incredibly funny, but all are very different, and they turn each project presentation into “a box of chocolates”. Why use this format? Well, passionate students tend to talk too much about their project! Give the platform and some images to graduate planning students — or most creative people for that matter — and they’ll go on forever about their project! This fast-paced mode gives everyone in CPW class a voice to share their moment, their project perspective, and a chance learn from each other’s experiences. The featured video is one of the voted favorites by CPW students this past winter term. Created and presented by Fábio Andrade, what was once a 20-slide presentation is now a fabulous video for you to enjoy! 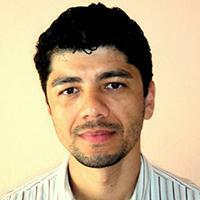 About the Creator and Author: Fábio Andrade is a Brazilian student currently enrolled in the Master of Community and Regional Planning Program in PPPM. In Brazil, he started an organization dedicated to recruiting international volunteers for educational programs in rural communities. He lived in the US between 2007 and 2009 while attending graduate school at San Jose State University California. After receiving his Masters of Public Administration degree, he returned to Brazil and worked on the management of public agencies in education and public health. He moved to Oregon with his family and enjoys playing with his twin little boys in the beautiful parks of Eugene. 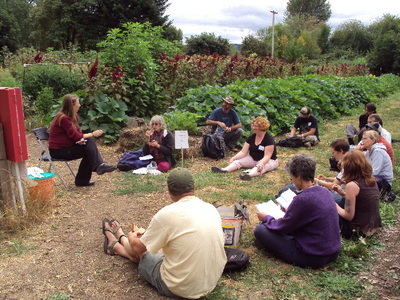 The 2015 Northwest Permaculture Convergence will take place August 28, 29 and 30 at the River Road Neighborhood Park District Recreation Center, 3 miles northwest of downtown, Eugene, Oregon. Each year, the Regional Permaculture Convergence alternates between Oregon and Washington State. The Convergence features panels and presentations, networking and fun. There will be site tours, panels and presentations, plenary sessions, a kid zone, Green Neighborhood Summit, a Saturday educational Expo and more. 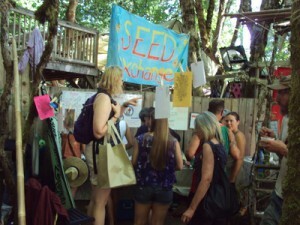 People into – green lifestyles, resilient neighborhoods, organic gardening, permaculture, reducing our eco footprints, solar design, green business, rural resilience, social cohesion, DIY, mutual assistance with friends and neighbors, fun, alternative culture and economy, peaceful and healthy world, local food systems and the suburban frontier. To name only a few. Over the years, the Convergence has been held in a variety of locations, urban and rural. This will be the first time the Convergence will be in a suburban neighborhood. Many out of town participants will be accommodated in the neighborhood with back yard camping and home stays. River Road is also developing a green culture at the same time it increases on the ground green infrastructure. Many neighbors are working together in mutual interest such as taking fences down, educational initiatives, social occasions and property sharing. 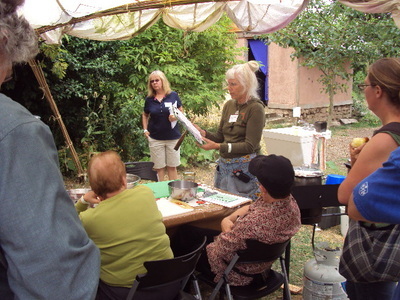 Dharmalaya Center and Suburban Permaculture are core parts of the River Road permaculture zone with outreach to the broader community. Its the very early going but River Road provides an early preview for what suburbia can become. The Convergence will include plenary sessions, presentations, panels and break out groups that will touch on many realms of interest, urban and rural. We want to show and tell examples of culture and economy that provide a preview of a far more peaceful and green future. Key words – home economics, greening neighborhoods, faith communities go green, youth education, co-ops regional food systems, allies and assets, “green preparedness” and more. An educational Expo is also planned which will include informative local non profits, Kid Zone, green businesses, and Skill Share. The site tours on Friday and Saturday Expo will be free and open to the public. Indoor panels, presentations, Saturday party and dining will be by modest admission. Residents of River Road who live in the county will receive reduced admission. Out of town participants will be encouraged to bring bikes, car pool, take the bus or train to minimize cars in the neighborhood. River Road is transportation friendly with the Rec Center served by city bus. An Amtrak station downtown is three miles away with a beautiful bike path from town to within ten minutes of the Rec Center. Accommodation is separate from Convergence registration, check FAQ on the Convergence website. Mark your calendars, August 18, 29, 30. The 2015 North West Permaculture Convergence will be a memorable experience!